Protect your pets when you’re not home. Protect the whole family when you’re sleeping. Our skilled technicians will design and install a state-of-the-art security system that will protect your home or business around the clock. 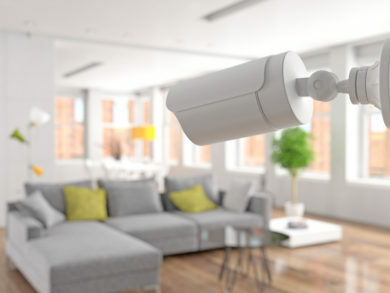 Security systems will even alert you to smoke and carbon monoxide. We can also monitor for environmental conditions, such as low temperature and water leakage. We also offer 24-hour monitoring services. If your system senses an issue, our professional monitoring company will contact appropriate emergency personnel to respond. We install hard-wired and wireless systems. Many of our systems allow you to operate and manage your alarms online or with your smart phone.